Adventure Kayak Florida is the official concessionaire for Hanna Park in Jacksonville, Florida, offering kayak & canoe rentals and lessons on the park's 60 acre fresh water lake, mountain bike & beach cruiser rentals, camping supplies and guided kayak tours around Jacksonville. "Wanted to say thanks! I had friends from California in town for a wildland fire management meeting and they wanted to kayak real Florida. Our trip on Durbin Creek was perfect! Thanks for making it all happen! 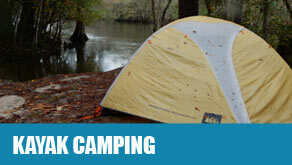 ..."
Kayaking Adventures and More at Hanna Park and Beyond! HANNA PARK CAMPERS: The campground store has everything you need: FIREWOOD, ICE, SANDWICHES AND SNACKS, SOUVENIRS, RV Supplies. No need to leave the park. Come on down and see us at the entrance to the campground. 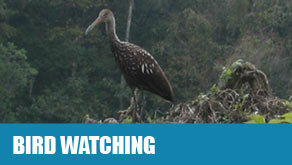 Looking for something the whole family can do this summer? 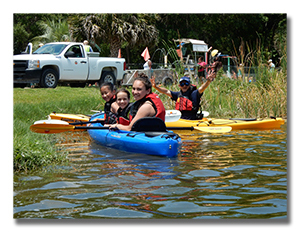 Adventure Kayak Florida offers more than just kayaking at our new location within Hanna Park, near Mayport Naval Station on the Atlantic Ocean. The park's 60 acre freshwater lake is ideal to try kayaking for the first time, not to mention the excellent bird and wildlife viewing. Single and double seat kayaks are available for rent, or rent a canoe to take the whole family out. 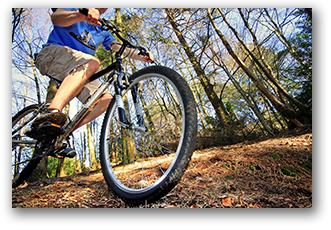 Hanna Park has over 60 miles of mountain bike and hiking trails, and Adventure Kayak Florida can get you started with our hourly bike rentals. For the trails, we offer Giant ATX AND Talon 3 mountain bikes, starting at $12 per hour. Beach cruisers are also available for rent for those that just want to ride around the park and to the beach for $8 per hour. 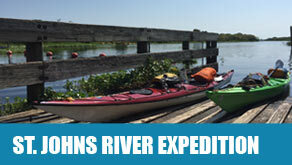 In addition to our rentals at Hanna Park, we offer guided kayak tours at several different waterways around Jacksonville, Florida starting at $59.00 per person plus tax. Outside the park, a guided kayaking adventure is the ideal way for families to get out on the water and have lots of fun. 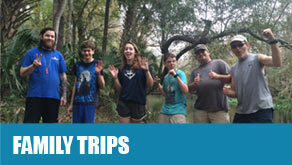 Experiencing the beautiful Florida outdoors on one of our guided kayak family tours creates memories to last a lifetime. Choose from a short introductory tour to "test the waters" or go big with one of our overnight family kayaking adventures. 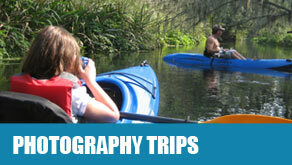 Kayaking Adventures for the Entire Family! The park's 60 acre freshwater lake is ideal to try kayaking for the first time, not to mention the excellent bird and wildlife viewing. 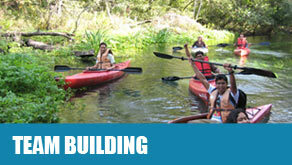 Single and double seat kayaks are available rent, or rent a canoe to take the whole family out. Hanna Park has over 60 miles of mountain bike and hiking trails, and Adventure Kayak Florida can get you started with our hourly bike rentals. For the trails, we offer Giant ATX and Talon 3 mountain bikes, starting at $12 per hour. Beach cruisers are also available for rent for those that just want to ride around the park and to the beach for $8 per hour.